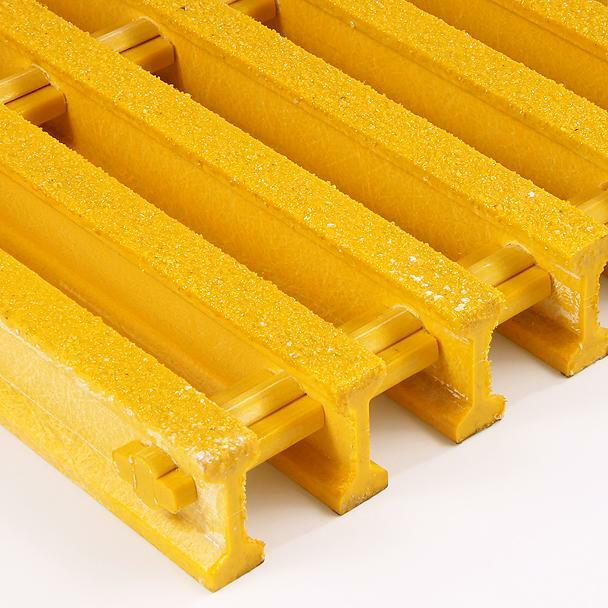 Pultruded Open Gritted Grating sections, or bearing bars are either ‘I’ or ‘T’ shaped profiles and are assembled and transversely linked with 3-part composite rod sections. They are suitable for both interior or exterior use, coupled with proven resistance to the effects of chemical corrosion and UV light degradation. Fire retardant options are available. Factory order option only – Panels are made specifically to the customer’s requirements. 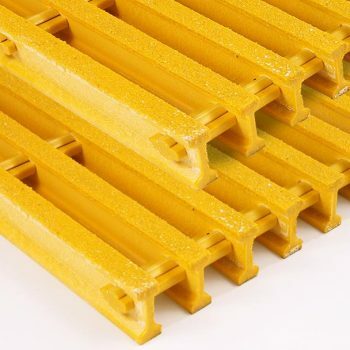 Pultruded open gritted grating is manufactured by a process of pultrusion in which longitudinal fibreglass rovings, multi-directional glass mat reinforcement, thermosetting resins and a synthetic surface veil are all combined to form an extremely strong and corrosion resistant structural section. The resultant grating has a high load-bearing capacity (much greater than moulded grating systems) and is ideally suited to installations with greater unsupported spans and even vehicular traffic. 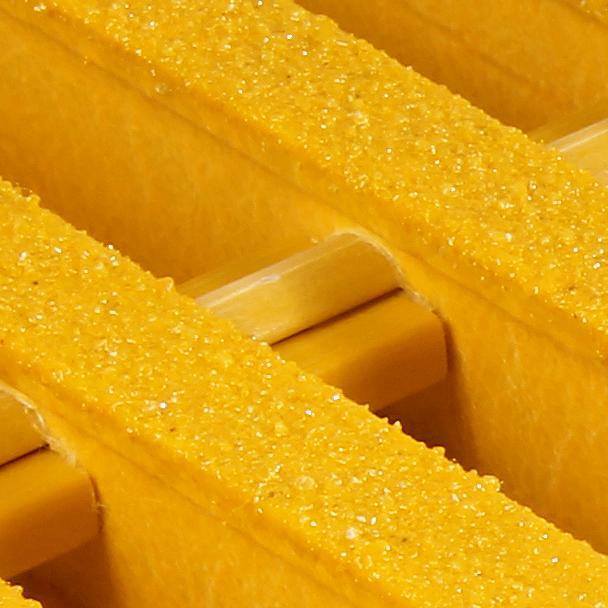 The choice of resin types enables the product to withstand relentless industrial & commercial environments. The gritted grating is suitable for both interior or exterior use and when coupled with proven resistance to the effects of chemical corrosion and UV light degradation, they are also fire retardant. Depending on the specification, the panels are available with a choice of spacing, or opening between the bearer bars of between 33%-60% of the surface area. This version of the grating incorporates a coating of refined, extra-hard aluminium oxide granules give superior anti-slip performance & wear characteristics. The bearer surfaces may also be covered by an optional 3mm thick solid top board with gritted coating.